The Directorate of Museum Affairs is part of the Directorate-General of Antiquities and Museums (DGAM), the government agency that is responsible for the protection, promotion and excavation activities in all sites of national heritage in the country (for more on DGAM see Wikipedia and Facebook) (♥). 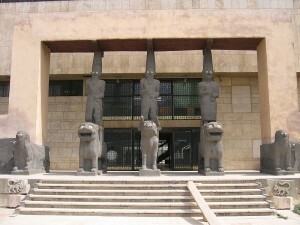 The department is responsible for the management and development of all Syrian museums, in addition to supervising any foreign exhibition of Syrian artifacts. The bilateral cultural agreement between Syria and Italy (2007) aims, for example, to develop a high-tech lab in the National Museum (Damascus), provide training to use the latest technologies, and establish an exhibition room for Syrian mosaics (1) for restoration purposes (see DGAM (s.a.). 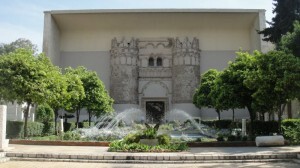 Other projects include the restoration of the Castle of Damascus (11th-12th century AD), and the establishment of a database for Syrian heritage in the National Museum. For this purpose the General Directorate for Ruins and Museums was created. The agreement with the Musée du Louvre in Paris (2008)27 encourages the development of archaeological sites with professional staff, especially the Marry site. There are staff exchanges to study and restore artworks in Syrian museums, and Syrian trainees and students qualify in the field of restoration. The treaty also provides for the refurbishment of the exhibition rooms of the Eastern Antiques Department in the National Museum, and for the introduction and exhibition of Syrian antiquities in the Louvre (see also the UNESCO webpage on the national museum). We assume the list is far from complete. We know that many museums have been affected by the war, one way or the other. 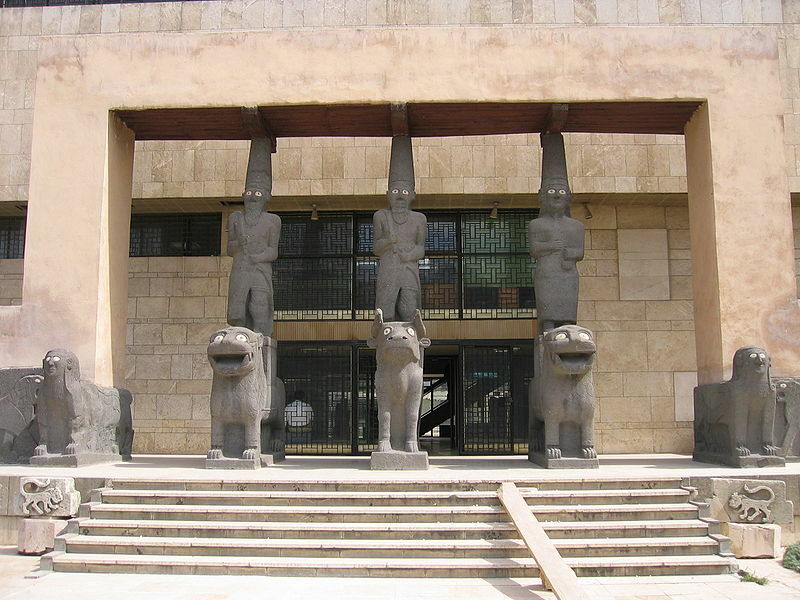 At the same time the Directorate-General of Antiquities and Museums (DGAM) has taken precautions to safeguard the collections (see Archaeology, February 20 2013 Syrian Authorities Empty the Country’s Museums). [♥] Almost all the text is taken from: Syria by Reem Al Khatib and Rana Yazaji published in ‘Cultural Policies in Algeria, Egypt, Jordan, Lebanon, Morocco, Palestine, Syria and Tunisia. An introduction’, Cultural Resource/European Cultural Foundation, Bookmanstudies, 2010, 191.